At the beginning of the blessed month of Rabi’al Awwal 1438, Shaykh Ahmad Saad Al-Azhari will visit the twin-island Caribbean nation of Trinidad and Tobago. He will give a series of talks on the Sira of Allah’s Messenger ﷺ, peace and blessings be upon him, at local mosques and will teach from Al-Nubdhah Al-Sughra at the prestigious San Fernando Jama Masjid. Shaykh Ahmad’s host is Maulana Siddiq Nasir and his Ahlus Sunnah Wal Jama’ah Institute (ASWJI), the same organization that recently hosted Shaykh Faid Muhammad Said and Shaykh Muhammad Al-Ninowy. Maulana Siddiq is one of the early graduates of the Aleemiyah Institute in Pakistan. Seeker’s Hub has endorsed this initiative. 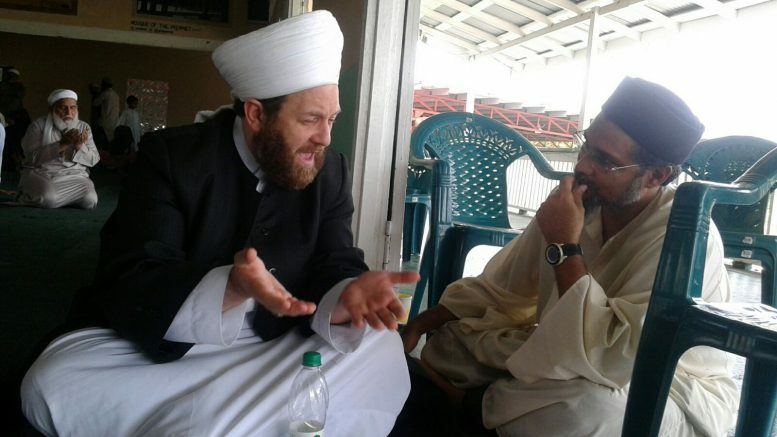 Sidi Nazim Baksh will be accompanying Shaykh Ahmad on this tour and in this article he explains why it is important for Muslim scholars to continue visiting Muslims in the Caribbean. What Exactly Constitutes an Authentic Expression of Islam? 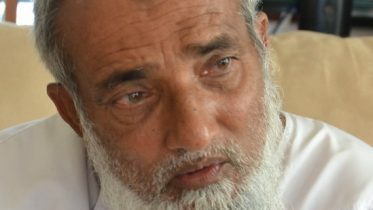 For the last three decades Muslims who live in Guyana, Trinidad, Barbados, Jamaica and other Caribbean islands, have been grappling with the thorny issue of what exactly constitutes an authentic expression of Islam. It wasn’t always like this, but it has made the Caribbean a highly desired destination for a variety of foreign scholars and organizations looking to make their mark. In Guyana and Trinidad, countries with the largest communities, the majority of Muslims are direct descendants of indentured labourers who were brought from India to cultivate rice and sugar plantations during the British colonial period. There is also now a growing number of converts to Islam mostly from the African West-Indian communities across the English-speaking Caribbean. While indentureship ended in the early 20th century, the East-Indian Muslims stayed on, raising families, establishing businesses, forging communities and building mosques – 140 alone in Guyana. Although religious texts were imported and disseminated locally, it played only a limited role in keeping people connected to the religion. The rhythm of Islamic spirituality for the mostly agrarian communities were the intermittent visits of a number of respected scholars who were grounded in tassawuf. In the 1930’s Maulana Sayed Shams-ud-Din visited Guyana traveling by boat from Trinidad where he was a scholar in residence for two years. Maulana Abdul Aleem Siddique’s visit to the region in 1950 makes him the most prominent scholar in this period to have visited and spend time in both Trinidad and Guyana before he died in 1954 in Al-Madinah and was buried in Al-Baqi. Maulana Fazlur Rahman Ansari was a young man when he accompanied Maulana Siddique and he returned to the Caribbean in the 1960’s to conduct seminars and encourage local Muslims to establish educational institutions. He would later create the Aleemiyah Institute in Pakistan where three young Guyanese and one Trinidadian were offered scholarships to study sacred knowledge. Maulana Siddiq, our host, was one of the them. Maulana Shah Ahmad Noorani also visited the Caribbean in the late 60’s and early 70’s and he single-handedly revived a love and devotion to Allah’s Beloved Messenger with his inimitable style of reciting Qasidas and making the standing during the salutation on the Prophet known locally as ta’zim, a standard feature at all types of major religious gatherings. He was so well-liked that the Muslim leaders of Trinidad made an LP of his recitation of the Quran along with his renditions of a few qasidas. Today, there are still men among the older generation of Muslims who imitate his style of reciting the Quran. As the 14th hijri century came to an end the Islamic waters of the Caribbean got murky with the infusion of alien religious ideas. Not surprisingly, the first practice that would be attacked was the central role of Prophet Muhammad, peace and blessings of Allah be upon him, in Muslim religious life. Opposition to the Mawlid was fierce and the singing of qasidas in praise of the Prophet was seen as a throwback to bygone days and an imitation of Hinduism. Some even labeled it as shirk. Political organizations based in the United States began to focus their gaze on the communities in the Caribbean. The Nation of Islam was one of the first, but soon Dar al-Islam and The Islamic Party of North America led by Yusuf Muzaffaruddin Hamid, began setting up branches in the Caribbean. Both organizations were militant but also heavily influenced by the ideology of Hasan Al-Banna’s Muslim Brotherhood and Syed Abul Ala Al-Mawdudi’s Jamaat-i-Islami. The first murder to take place in the name of Islam in the Caribbean happened in 1985 in Trinidad when a group of men gunned down an Ahmadiyya Missionary in front of his teenaged son. The men were followers of Jamaat Al-Fuqra, a U.S. based organization headed by a Pakistani mystic that was an offshoot of Dar al-Islam. Long before Osama bin Laden and Abu Bakr Al-Baghdadi dreamed of establishing a Caliphate, Imam Yasin Abu Bakr staged a failed coup in Trinidad in 1990. His goal was to establish a Caliphate according to an important report on the failed coup. Six people were killed and Abu Bakr’s Jamaat Al-Muslimoon caused millions of dollars in damage. Today the government of Trinidad estimates that 130 adult men along with their wives and children – some 400 in all – have left the country in the last three years to join Da’esh in Iraq and Syria. This makes Trinidad the country with the largest number of Da’esh recruits per capita in the world. Some of them have taken to social media to declare Yasin Abu Bakr an apostate of Islam because he no longer pursues the path of Jihad and Hijra. The convenient course of action is to ignore the Caribbean because afterall it is on the extreme periphery of Muslim majority countries. To do so is to ignore the vast majority of Muslims who desire to live respectfully and peacefully in a faith-diverse community as their ancestors have for well over a century with their Christians and Hindu neighbours. We have a moral obligation to assist the silent majority by opening for them the doors of sound Islamic knowledge lest some of them fall prey to a vigorous campaign by violent extremists. Be the first to comment on "Caribbean Calling: Nourishing Communities of Faith"